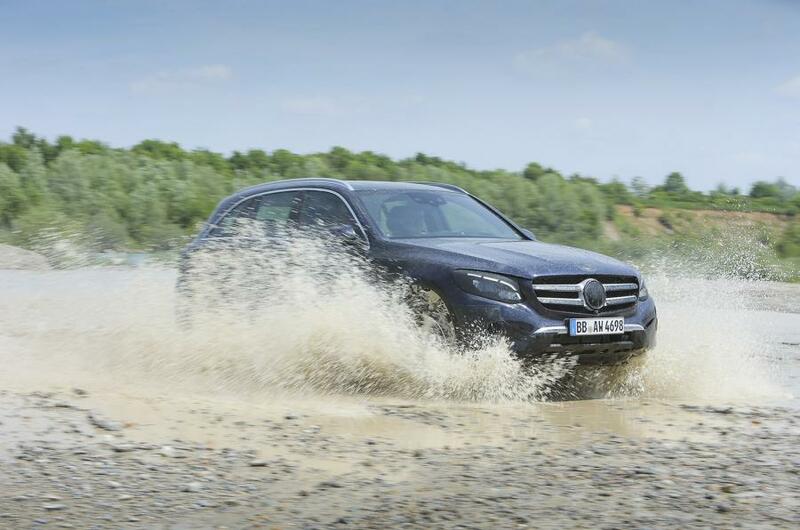 After Autocar, it’s the turn of our colleagues from AutoExpress to get their off-road passenger ride in the new Mercedes-Benz GLC. In the mud, water and even the air. According to AutoExpress, the GLC certainly made light work of 45 degree inclines and descents, showed its chassis stiffness by cocking a wheel on a series of alternating bumps, scythed through a few feet of standing water and was quite happy clambering over rocks and deep mud – and all fitted with a standard set of tyres. 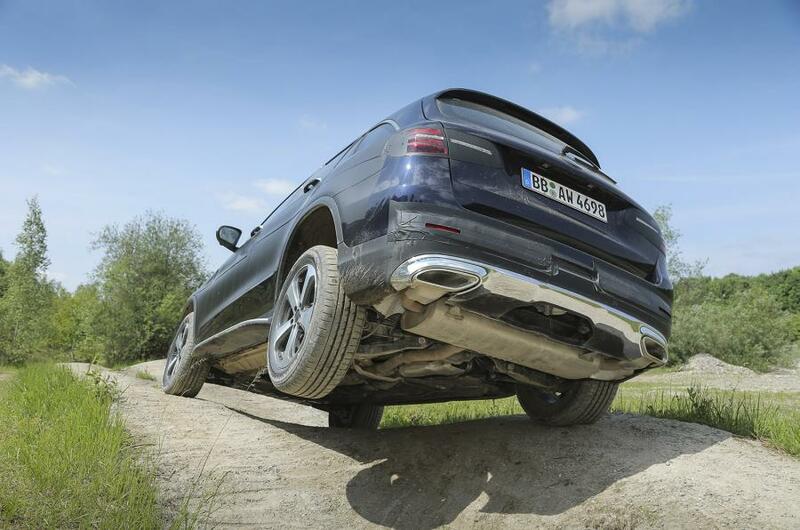 We even drifted around a corner with armfuls of opposite lock and caught some air over a sharp crest, to show the GLC can do the dynamic stuff, too. To read the full verdict head over to AutoExpress. The production version of the Mercedes-Benz GLC will be unveiled on June 17 and is set to arrive in showrooms this Autumn. Codenamed X253, the new Mercedes-Benz GLC will be based on the current C-Class’ modular architecture, featuring a longer wheelbase, lower ground-clearance and wider tracks. The engine line will be a mix of four and six cylinder units with a ‘GLC350′ plug-in hybrid version, available shortly after launch. In fact, the eco version will use the same powertrain used by the C-Class’ own hybrid version, matting a 2-liter turbo with 211 HP to a 60 kw electric engine, for an electric range of 30 km. A sporty GLC Coupe, the production version of the sleek concept unveiled at this year’s Shanghai motor show is expected to join the range no later than 2016. 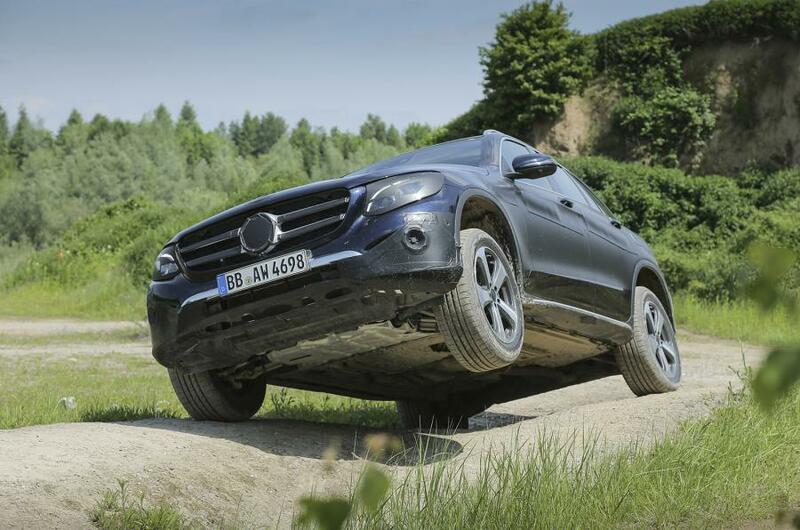 GET FULL DETAILS ON THE NEW GLC HERE.